After enjoying a rainbow of colors and marine diversity at the New England Aquarium this Saturday, make it an extra special day in the city with a dazzling show lighting up Boston Harbor! 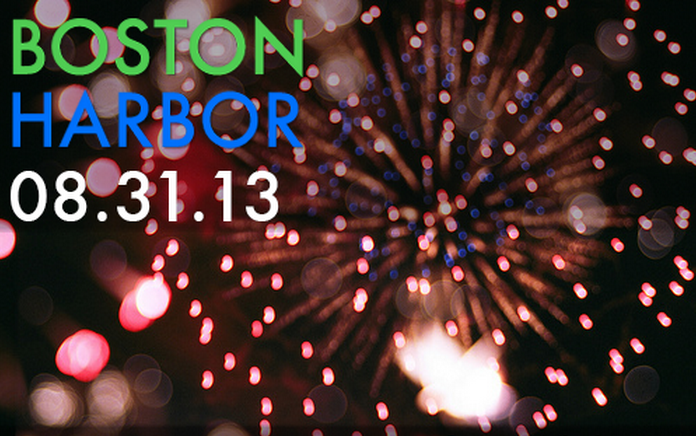 Join Mayor Thomas M. Menino and Summer on the Waterfront for fireworks over the harbor this Saturday, August 31! The sparkles and bangs starts at 9:00 pm in celebration of (ähts), the Boston Arts Festival (which is happening Saturday and Sunday, from noon to 6:00 p.m. at Christopher Columbus Park). Stake out a nook on Boston's historic waterfront to enjoy the fireworks, or get the best seats on the harbor on one of Boston Harbor Cruises Fireworks Dinner and Viewing cruises! Choose from either our traditional fireworks viewing cruise featuring a D.J. and dancing or go all out for summer fun one last time with our scrumptious dinner buffet cruise. Come to see exhibits bursting with colors at the Aquarium! These fireworks also mark the finale to Summer on the Waterfront 2013 and were generously provided by the City of Boston, Boston Harbor Cruises, Bay State Cruises, Mass Bay Lines and hundreds of individual donors. For some real vibrant colors, start your day with a visit to the New England Aquarium! Explore the New Aquarium Experience with the sparkling new Giant Ocean Tank with its pulsing rainbow of tropical fish, eels, stingrays, turtles and sharks. Tickets are available online—no service charge—and you're able to print them at home!